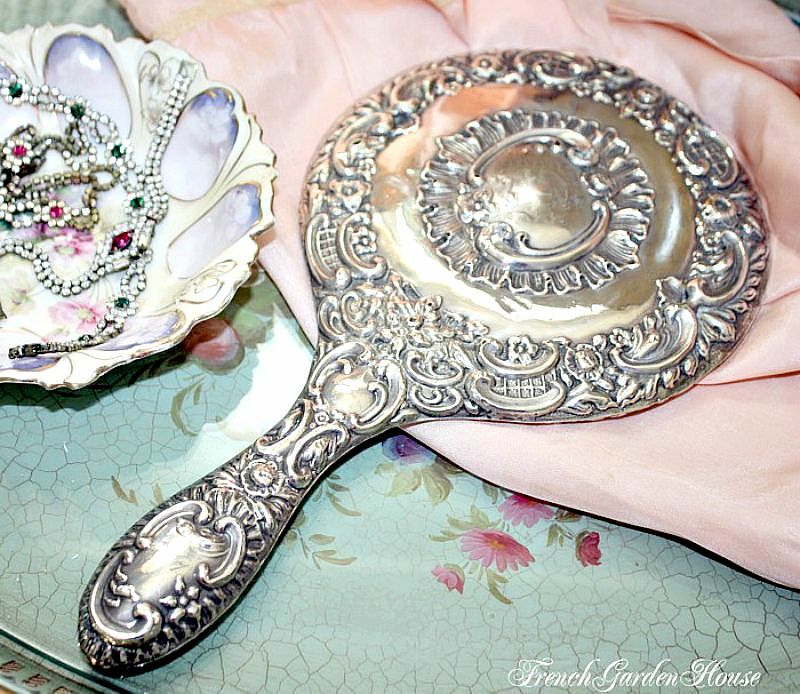 Exquisite Sterling Silver Hand Mirror, with ornate floral and scrolling repousse work, a gem! 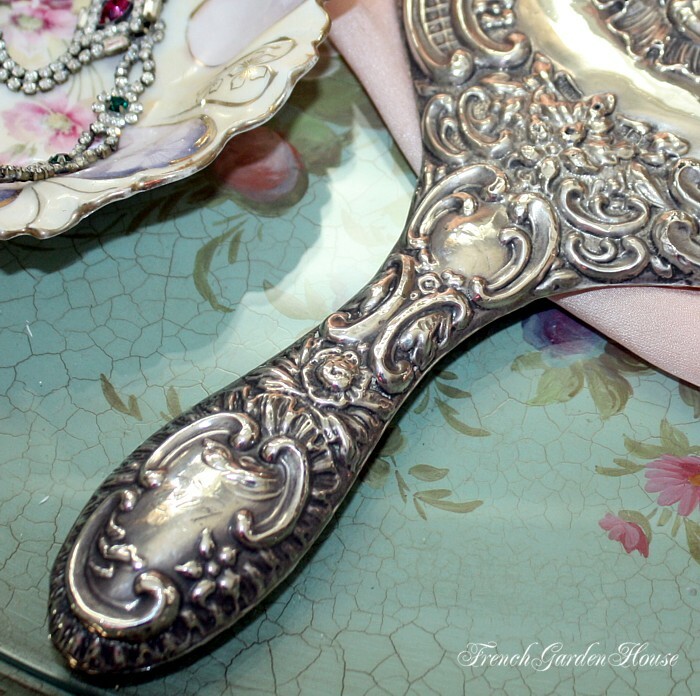 What a gorgeous, heavy mirror for your French vanity in your boudoir, this beauty is monogrammed on the large central cartouche with what I believe is a T and a C. Beautiful flower detailing, engraved with the year 1907 on the handle. There is some wear, a few of the flowers have slight dents, as shown, and the center monogrammed area is slightly dented as well, this doesn't bother me, but please only purchase this lovely old piece if you don't mind the patina that only the grace of time can give. 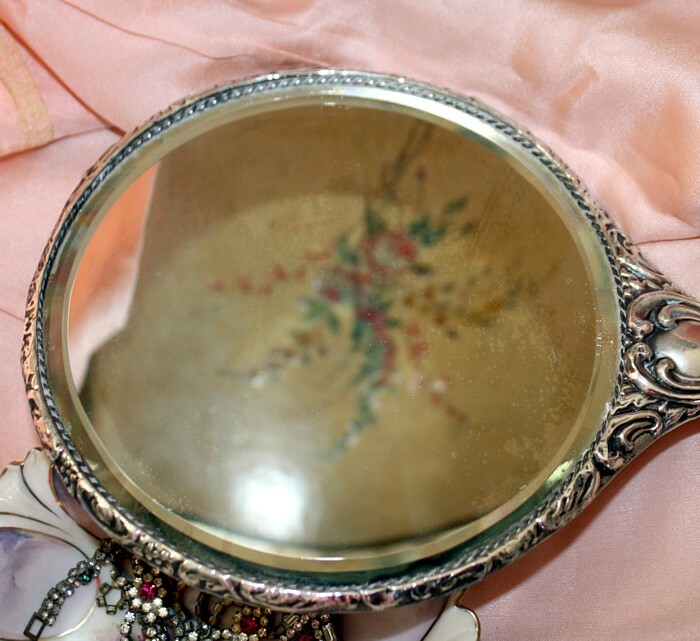 Large size, this was loved and used by the lady of the house for decades, such a romantic, feminine decorative mirror.